Sun Hair Care What's Different? Bronzed skin, waves in your hair and a relaxed mind, the perfect look for summer. Although you might feel carefree on the beach, by the river or pool, your hair, just like your skin, is constantly exposed to UV rays, chlorine from pools, humidity and salt water. Sure, it’s great to load up on vitamin D, and become laid-back with a tan and sun kissed hair. But to enjoy the perks of summer without putting your hair at risk, find the right balance of sun and hair protection! That's why we are here! We help you to care of your hair in the summer! Special Sun Hair Products - Only Advertising Trick? Is it really necessary to replace common hair products for special sun hair products? Probably YES! You can also use classic cosmetics, but deeply moisturizing. Summer season is one of the most challenging for your hair. Hair is dry, fragile and weakened after all-day sunshine. It needs really more hydration, nutrition and moisturizing care than in any other season. Therefore, you should pamper it with special care! But, special sun cosmetics, such as shampoos, conditioners, mask & treatment and leave-in treatments, are the best choice for your hair in summer. Do you ask why? The answer is simple. In addition to hydratation, these sun hair products contain also protection against sun (UV solar filters), chlorine and saltwater. And that's a good argument, right? Glamot tip! How to save space in a suitcase? Take a mini sun cosmetics kits with you to holiday, for example: Goldwell Sun Reflects Travel Set and BC Bonacure Sun Protect Travel Kit or Milk Shake Sun & More Travel Kit. While Sunbathing - Create a Hair UV Shield! Before and during sunbathing, hide your hair in a protective veil of sun cosmetics with UV filters. Great are leave-in sprays and fogs with which you can refresh your hair protection several times during the day and add a new sun shield. And with waterproof products, you can enjoy the sunshine even during water pleasures! Glamot tip: 1) L'Oréal Solar Sublime Conditioning Spray is best for fine hair; 2) Goldwell Sun Reflects Leave-in Protect Spray with effective complex UV filters & panthenol; 3) Korres Hair Sun Protection Red Vine with 93.9% natural content; 4) BC Bonacure Sun Protect Shimmer Oil Spray with waterproof formula for sun protection during water pleasures; 5) Milk Shake Sun & More Incredible Milk with 12 incredible benefits for sun hair care! After Sun - Pump Hydration Into Your Hair! After a long stay in the sun, hair is thirsty. It is necessary to give your hair a really big dose of hydration. Bet on special sun hair care! Shampoos gently remove residues of sea salt, sand and chlorine. Conditioners and hair masks give back moisture and hydration to your hair. In addition, these sun products provide hair with a UV protection and your hair will be protected even before other sunbathing. Also quality hair oils are perfect for the summer care. Some oils have also UV protection or color protection. Glamot tip: 1) L'Oréal Solar Sublime Shampoo is a popular universal summer care; 2) Equave Sun Protection Detangling Conditioner with wide-spectrum UVA/B solar filters; 3) BC Bonacure Sun Protect Treatment contains effective triple protection; 4) Bamboo Beach 1 Minute Masque helps to restore dry, parched hair in less than 1 minute! ; 5) Wella SP After Sun Shampoo gently cleanses the hair and body after sunbathing. 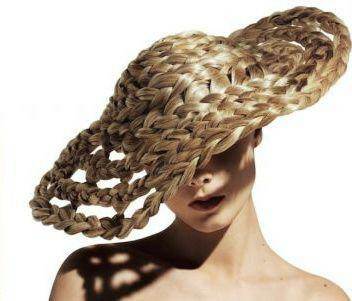 Do you know that even styling can effectively fight the sun? Although styling products are quite burdensome for hair, if you don't use them much, they can be good for your hair. In the summer, definitely bet on styling with UV filters. For example the Alterna Bamboo Beach styling range. Glamot tip: 1) Kevin Murphy Session Spray with UV shield for colour protection; 2) Moroccanoil Glimmer Shine Spray Infused with Argan oil and UV filters; 3) Milk Shake Sun & More Pleasure Oil moisturizing oil for hair & body; 4) CHI Rose Hip Oil Dry Shampoo for color protection with vitamins; 5) Bamboo Beach Ocean Waves Tousled Texture Spray creates beach waves with UVA/UVB protection. Summer + Colored Hair = Disaster? Summer weather is even worse for colored hair. The combination of strong sunshine and chlorine or saltwater is a strong coffe for dyed or lightening hair. Solution? Special sun care designed for dyed hair. These products contain an effective complex that can protect hair from the sun and color from fading in one step! Blondes should not forget silver shampoos that remove yellow tones from their hair. But, do not use them too often! Because, silver shampoos slightly dry hair. Choose rather more hydrating silver shampoos. For example: BC Bonacure Color Freeze Silver Shampoo or sulfate-free Paul Mitchel Blonde Platinum Shampoos. These shampoos are considered to be the most moisturizing and the least drying for blonde hair. Glamot tip: 1) Redken Color Extend Sun After-Sun Shampoo for enhancing hair color after sun; 2) Kérastase Soleil CC Créme 3v1: to sun protect, repair and illuminate; 3) Bed Head Totally Beachin Protection Spray keeps coloured tresses vibrant, waterproof; 4) Kérastase Soleil Masque UV Defense for repair of coloured hair exposed to the sun; 5) Redken Color Extend Sun Reflective Glow waterproof formula for an all day hair protection! Reduce heat styling! Try not to use a hairdryer, flat iron or hair curler often. Wash less often! Frequent washing strips your hair of its natural protection. Use rather a sulfate-free shampoo, which washes your hair more gently, for example Paul Mitchel Sun Recovery Hydrating Shampoo. Never go to bed with wet hair! Hair would be more damaged, brittle and frizzy. Cover up! Whenever possible, wear a headgear, such as a hat. It's the best way to protect your scalp.